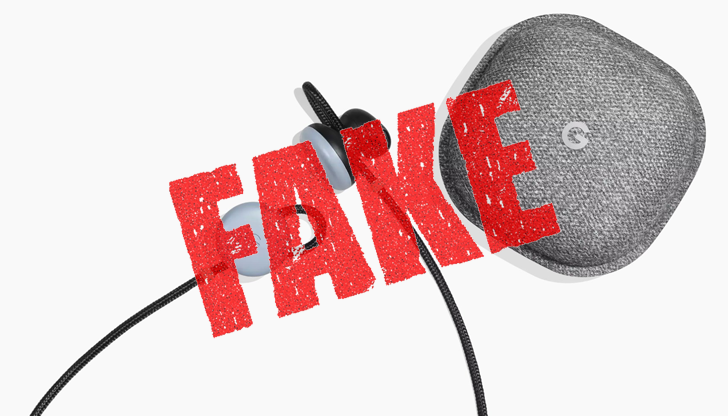 There are now dedicated pages for reporting fake Chromecasts, Pixel Buds, Google Pixelbook, Google Clips, Google Wifi, plus a general page to report any other fake Google hardware. The first one makes a lot of sense: you'd expect a very popular $35 TV dongle to get counterfeited ad infinitum and sold with different software that doesn't support casting at all. The second one made us chuckle because, in the words of our wise Cody, "that's one of the few products I wouldn't be surprised to see somebody selling for 80% off, and I wouldn't be sure if they were real or fake." Even original and functional Buds might be considered a dud, given how many people dislike them, so it's tough to imagine why someone thought counterfeiting them is a smart business idea. Unless the fakes work better than the originals — you never know, ha! The dedicated pages for other Google hardware, like Pixel or Home or Daydream, don't appear to be live yet for me, but when they are, they should be accessible from the general reporting page linked at the end of the list above. Google requires users to submit the URL where they bought the fake product plus an image of it, both of which are essential if the company doesn't want to spend a lot of resources following through on incorrect reports. You can also include a photo of the serial number if you have one, your email address, and check a box to let Google reach out to you for more details while investigating your claim. For now, Google only lists two ways of spotting a fake product: no trademarks and improper function. One could hope that, with time, the company has a more specific list of ways to discern counterfeits for each type of item.